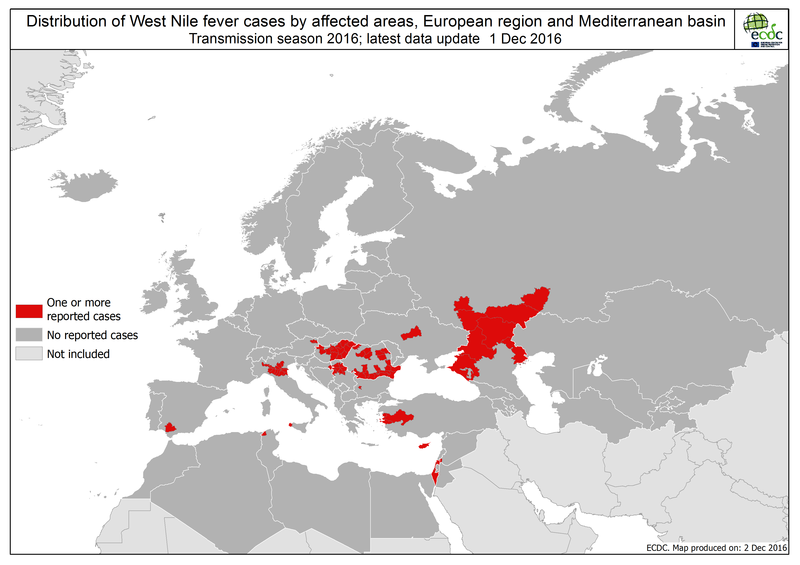 The map shows the reported cases of West Nile fever in Europe during the transmission season 2016. 210 cases of West Nile fever in humans have been reported in the EU Member States and 267 cases in the neighbouring countries, since the beginning of the 2016 transmission season. During the transmission season, ECDC publishes updates on the spatial distribution of human cases of West Nile fever in the European Union and neighbouring countries in its online atlas.